I’m always behind on two things in life, diet trends and technology. I never got onboard the Diet Coke bandwagon, somehow missed all the Trans-Fat hysteria, and never understood the Atkins diet craze, especially when Dr. Atkins ate slabs of bacon every day yet convinced people to follow his stupid diet. I honestly thought Gluten Free was another one of those trends, because it seemed like suddenly everyone had a gluten intolerance. But I digress. Rewind to last summer, July 2012 when I took a trip deep into the Ansel Adams Wilderness near Mammoth Lakes. I had previously done my usual REI pilgrimage to pick up supplies, a can of fuel, 4 freeze dried meals, some water purification tabs, and a new knife. I didn’t have any sort of method for picking out my meals for the trip, I think I just grabbed whatever sounded good. But I do remember looking on the back of the package and seeing tons of chemicals that I didn’t understand. “well there’s no way it’ll kill me” was my likely thought process. While it didn’t kill me, twice during the trip I remember feeling borderline sick, bloated, slightly dehydrated but not as a result of hiking. I recognized the feeling and realized it was not a symptom of altitude sickness, but this was how I felt after eating a large, cheap meal from the Chinese place a couple blocks over. Fast forward to this summer, when I took a trip to the Channel Islands. My girlfriend had recently gone Gluten Free and I noticed a couple brands that were sporting labels that state Gluten Free. This had me a little curious, so we picked up all of our meals from Gluten Free options. Later on during the trip, I noticed a huge difference in the quality of ingredients. But what really drew my attention was how great I felt after eating these meals. While prior meals had left me feeling sick to my stomach or bloated, the Gluten Free meals left me feeling energized and ready to continue on my our adventure. 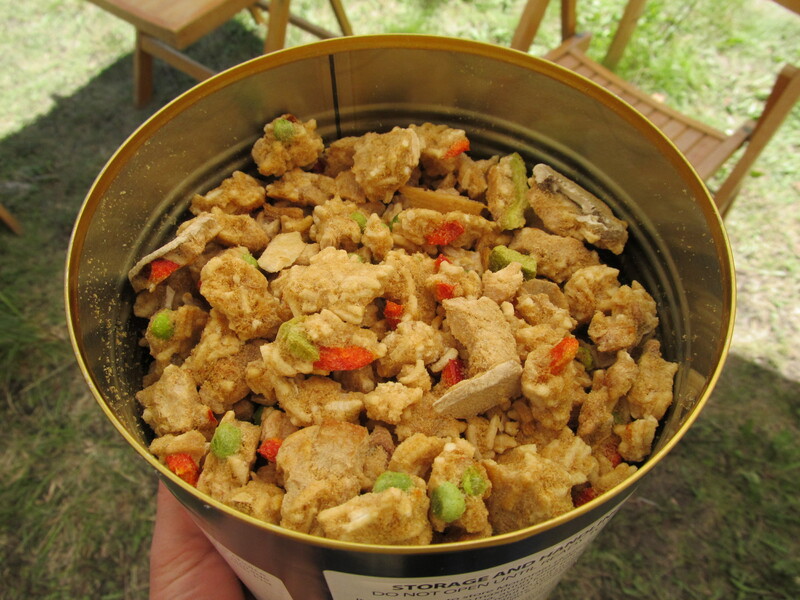 See, prior to the gluten free revolution in camp food, freeze dried meals such as backpackers pantry contained a cocktail of preservatives. But this silent revolution has started to debunk the myth that backpacker’s meals need high levels of sodium because of the amount of calories due to your active lifestyle. I encourage all of you to try this sometime. 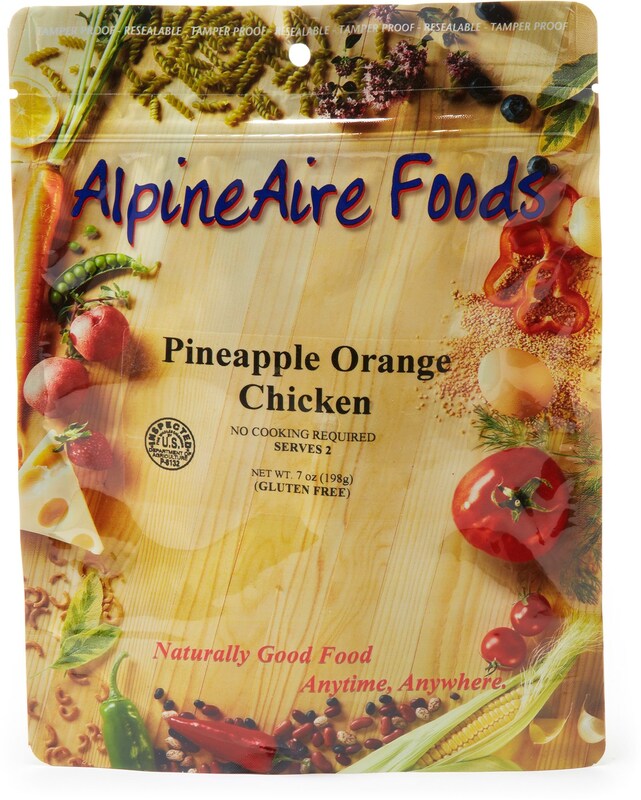 Next outdoors chance you get, try comparing how you feel after a bag of Pad Thai (usually very high in sodium, preservatives, MSG) vs a bag of gluten free AlpineAire bliss.